Saddle bag liners are made with 500 Denier Cordura ® (100% nylon with 3/4 oz. Urethane coating) pack cloth. 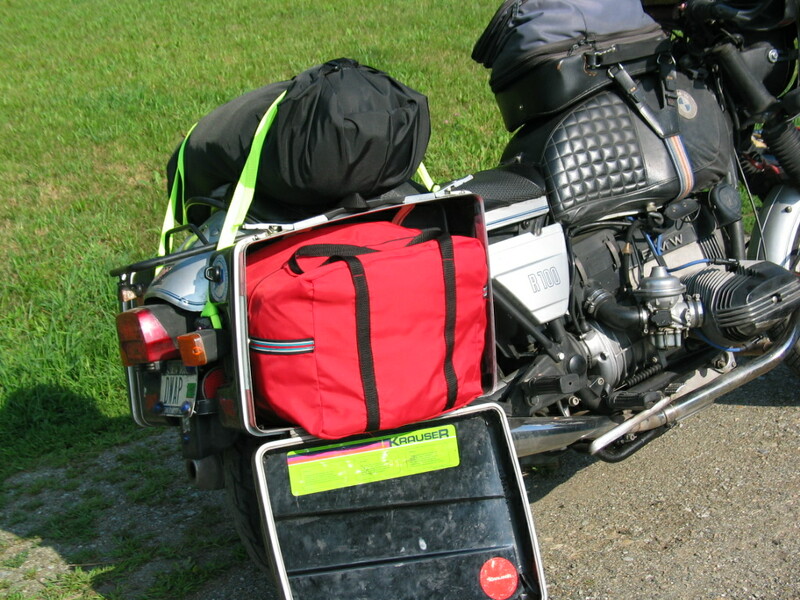 These soft, sturdy bags fit inside hard saddle bags and can be quickly loaded and unloaded. They measure 11”X16”X13” and fit most hard saddle bags. 1" wide polypropylene strap handles and top zipper make using them simple and convenient. 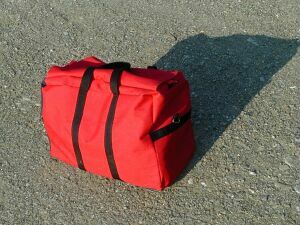 Available in red (shown) or black Cordura with black straps. One saddle bag liner- $65.00. Two (a pair) $125.00. Note: These	are made to order, so delivery may be delayed.